This is an "appallingly small" add-on shield for Teensy 3.1 that mounts on the bottom, USB-end of the Teensy 3.1 by soldering the board to the GND, VIN, VUSB and pin 0 pins of the Teensy. 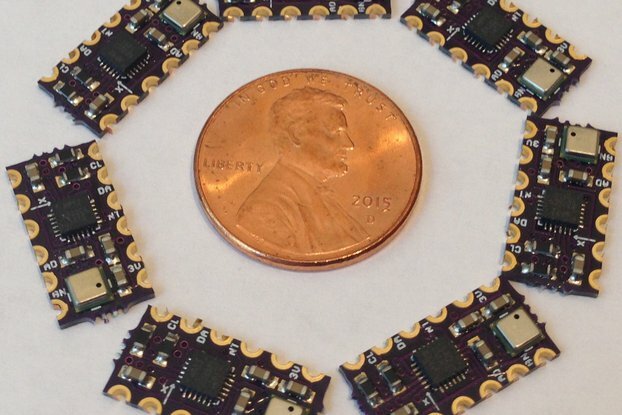 The heart of the board is the MAX1555 battery management chip by Maxim Integrated. The board has +/- through-hole mounting holes for a JST LiPo battery connector (supplied with the LiPo charger) and for an external DC power supply. 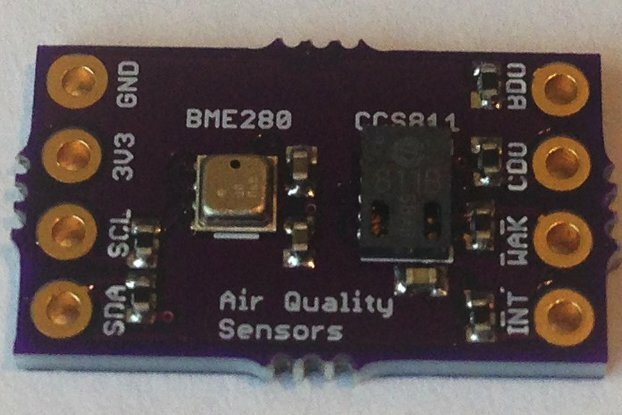 The board charges the LiPo battery at a 100 mA charge current with the USB cable attached to the Teensy, or at 280 mA charge current when the external DC source is used; the chip chooses depending on the power sources present. While charging, the red LED is lit and when the battery is fully charged it goes out. 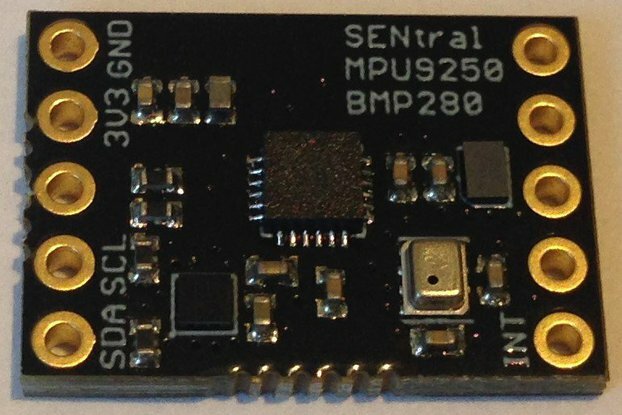 The charging state is also broken out to Teensy 3.1 pin 0 and can be monitored (LOW = charging, HIGH = fully charged), and the battery charging can be managed, in software. The connection between VIN and VUSB must be cut to allow this LiPo charging board to function properly. This a straightforward operation best accomplished with an Exacto knife by gently cutting the connecting copper trace as described in the Teensy home page. There is a power switch mounted just under the LiPo charger; when the switch is on it provides power to the Teensy and the green LED is lit. When the switch is off the green LED is off and the Teensy has no power. Lastly, when the battery is drained, the green LED flashes to indicate charging is needed or that the power switch should be turned off. For breadboarding with the Teensy or Arduino attaching a 5 V or LiPo battery to the breadboard power rail is fine and convenient. As my circuits have matured and I have transitioned off the breadboard to real device applications I needed some better way to provide and manage power. Plus I got tired of removing the battery, fishing out my standalone LiPo charger, plugging both into my computer and waiting until the battery charged to get my device up and running again. With this LiPo charger add-on the charger can be integrated into my applications easily and when I plug in the USB cable to reprogram the Teensy or monitor Serial output, I can be charging at the same time. More importantly, for portable applications it is very convenient to have an on/off switch and I never have to waste time remembering where I put the LiPo charger the last time I used it! 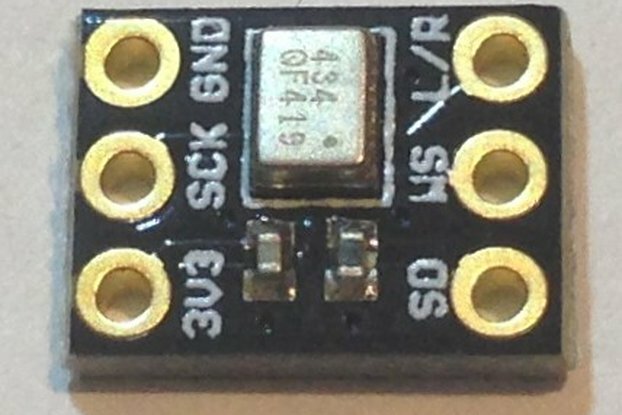 This is a full-function LiPo charger circuit similar to those offered by Sparkfun or Adafruit but designed specifically to mount directly on the Teensy 3.1 in an unobtrusive and convenient way. 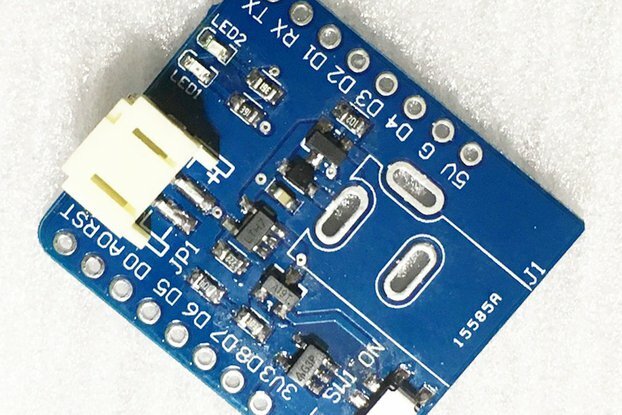 It can be used with the JST connector to allow the battery to be easily removed and re-attached, or the battery can be soldered into the board for a smaller profile and more permanent mounting. A connector can be soldered into the board to allow charging from a 5 V wall wart while maintaining the ability to charge from USB. Order the board from OSH Park and assemble your own LiPo charger, or buy one from me fully assembled and guaranteed to please! 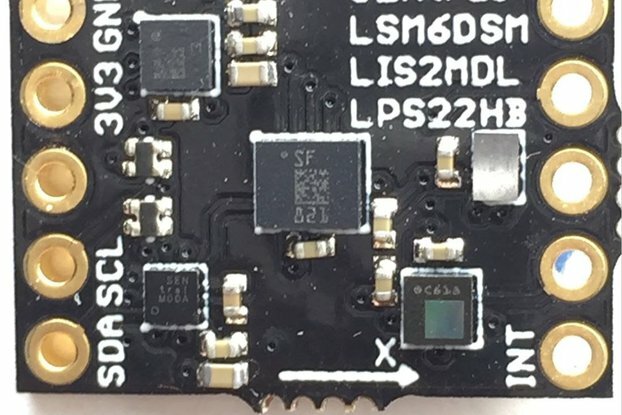 The SMD switch soldered to the bottom of the LiPo charger add-on board can dislodge with rough handling. Please use it gently and it should endure. This is a potential weakness in the design. I chose an SMD mechanical SPDT switch because I wanted to minimize board size and allow a low-profile fit to the Teensy 3.1. Unlike a through-hole-mounted mechanical switch, the SMD soldered mounts can be torn off if too much force is applied. I have not done so in normal use but I am issuing this warning out of an abundance of caution! Here is a more detailed description of the LiPo charger board layout (verbose mode ON! ): If you look at the schematic you can see that it follows the typical application recommended in the MAX1555 data sheet. Now refering to the board layout, the input power to the MAX1555 is either through VUSB (the through-hole just below the label) and GND (the two through-holes at bottom left with the "T" or GND symbol to their lower right), or through VDC and GND. 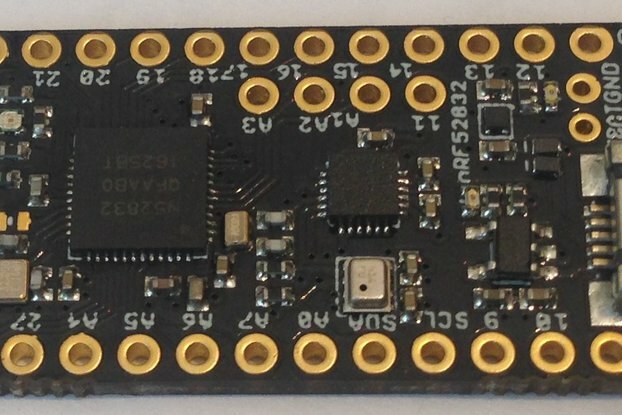 The GND at the lowest left corner of the board (looking at the top) should be soldered to the Teensy 3.1 GND pin. The two through-holes immediately to the right of the GND pin are the GND and VDC for the DC power source for charging. If one wanted to use a wall wart power source rather than USB power, or one wanted to charge from a larger battery the -/+ leads from either would be attached to this GND/VDC pair. One could mount a power jack here, if there is room, to accommodate a wall wart plug, for example. Or just leave it unconnected if the USB is to be the main power source. The through-hole above the GND corresponding to pin 0 on the Teensy 3.1 is the Charge signal from the MAX1555, which is LOW when charging and high impedence or HIGH (with the 100 K pullup) when charging is complete. These conditions are really determined by the current flow and I refer you to the datasheet for the details. The CHG signal can interfere with RX/TX on Teensy 3.1 pins 0 and 1. One can leave this pin unsoldered to the LiPo charger and avoid any potential interference; to be sure one can cut the trace to this through hole. Fortunately, there are many serial ports on the Teensy 3.1 so this shouldn't be a critical issue. The red LED (left-most one) is also attached to this signal line and glows red when the battery is charging (CHG is LOW) and turns off when the battery stops charging (CHG is HIGH, pulled up by a 100K Ohm resistor). The CHG signal is broken out in case this signal might want to be monitored in software or by an interrupt. In normal use, the GND, CHG, VUSB, and VIN pins would be soldered to the board and the thin trace between VUSB and VIN on the Teensy 3.1 would be cut. This allows the Teensy VIN to be provided solely by the battery, which in turn gets its charge from USB or VDC. The green LED (right-most) glows when the mechanical SPDT switch mounted on SMD tabs on the back of the LiPo board is switched on. This provides power to the Teensy 3.1. When this switch is turned off the Teensy 3.1 is unpowered. Thus, the battery charging and Teensy 3.1 functions can be separated. 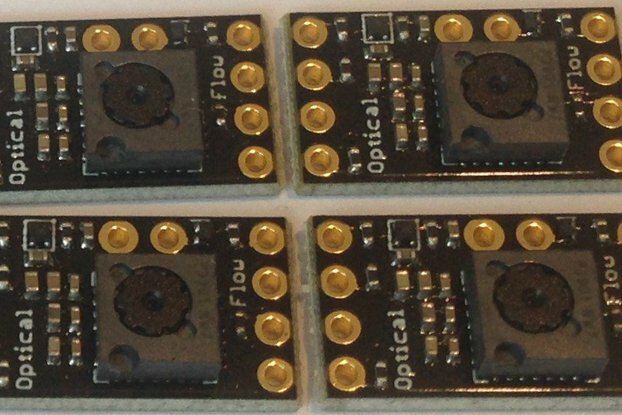 The top left and two top right through-holes corresponding to Teensy 3.1 pins 1, AGND, and 3V3, respectively, do not have to be soldered and are only there for convenient mounting with a small form factor. They are not connected to the circuit so could be soldered for increased mechanical stability but this isn't really necessary. The MAX1555 chip is pretty-well connected (as well as can be on a 0.3 in x 0.7 in board) to the thermal sink and electrical ground plane. At 100 - 280 mA there should not be a heating problem. The LEDs are 20 mA max (set to ~10 mA with the 330 Ohm resistors), 10 mcd and are readily visible even when hidden under the Teensy 3.1. One possible improvement would be to use 1000 Ohm resistors for the LEDs to reduce the power drain in normal operation. When the Teensy 3.1 is powered and the green light is on, it will start blinking about once every second when the battery power drops to the point that recharging is needed. This is an unexpected but very useful feature that is not documented in the data sheet. This is likely related to an RC time constant but I admit I do not understand from where this behavior originates. I've been trying to come up with a simple way to manage battery power on my fleet of teenys for some time when I came across this little gem. Highly recommended! LiPo battery charger for Teensy 3.1: Great device! The design of this charger add-on makes my day. The way it puts the power switch right next to the MicroUSB port simplifies enclosure design, and the low-battery blinking feature is quite handy, coming from MCP73831-based designs. I do have one suggestion, though. It would have been SO NICE if the travel of the power switch went from one end of the micro-USB port to the other, instead of starting at one end and moving away from the center. That way, the access hole in my enclosure could just be a bit taller, instead of taller and wider. Plus, it would have been so nicely symmetrical. I am building a little device that integrates Teensy 3.2 with the Teensy audio board, a tiny Adafruit monochrome OLED display and a bunch of sensors. I wanted it to use a rechargeable battery, and this little board did exactly what I needed. Normally this would be trivial to integrate since it's designed for the Teensy; it was a bit awkward getting it and the audio board stacked together, since both are "designed" to go on the same side of the Teensy. My solution was to mount the audio board above the Teensy, and then mount this board above the audio board. Since one of the required Teensy holes doesn't pass through the audio board, I ran a little wire around. The stack of three is solidly together and takes up very little space. I only gave 4 stars on Documentation because I'd have liked a slightly more clear "step by step" guide to integrating it -- as it was, I found myself zooming in on the photos. But, that's not a big deal. These things work really well. So nice. I also suggest allowing an order without the switch soldered on. It'll make it easier for putting it inside of a case. Also, you should consider having a version that has all the USB pinouts exposed for soldering on a USB cable to a USB panel mount. This would be particularly helpful for those of us who are keeping things appallingly small, and don't want to use a micro-USB to USB Type-B panel mount (like what's on the teensy store). Oh, and any chance (for an addl fee) throw in the matching counterpart for the JST-battery connector with the 2 pins to attach wires? It is really hard to find those things. I'm going to order 5 more, and was wondering how I can order w/o the switch soldered on. I'd like to keep the switch if I could though, so if it could just be thrown in, that would be great. I think I'll just end up using a micro-USB cable and plug into teensy, and cut the other end and solder it to a micro-USB panel mount. I giggled at his "appallingly small" description when I first read it. And he is right, but it is exactly as described, works perfectly and I'm very happy. Bought 2 of them as soon as they came into stock again. Will be buying several more. For documentation, the text here is more than enough. So just read it carefully. I did print the Tindie page and filed it for future reference just in case. In my particular case, on one of my projects I needed a more robust remote mounted switch.. so just popped off the microscopic one and tacked in two leads to a larger one mounted on the case. Real easy to do, although as with working on the Teensy itself a Magnifying glass is critical. "Appallingly small" is an understatement. Great product, thank you for making it ! If you want this or the STBC08 chargers delivered sans switch I am happy to oblige. I've test it on my teensy 3.2 and it works very well ! in first time i've try on a 3.1 and the i've decided to change the 3.1 for a 3.2 and it's ok ! Very well thought out. Works great so far. I mounted the charger on Teensy 3.1 . I missed, at first, the need to have a pin connecting the VUSB to the Teensy for charging. Once I got that, the device charges when plugged in and provides power when no usb is plugged in. This is ideal for a developer that is testing the software plugged into USB as it charges the battery during development. A convenient switch turns on and off power. A red led indicates charging and a green led indicates power on. No Teensy should be without one. Works as advertised. Very compact. Awesome support from Kris. Responses to my emails were very quick, even during weekends. Well designed and fits together nicely into my project. 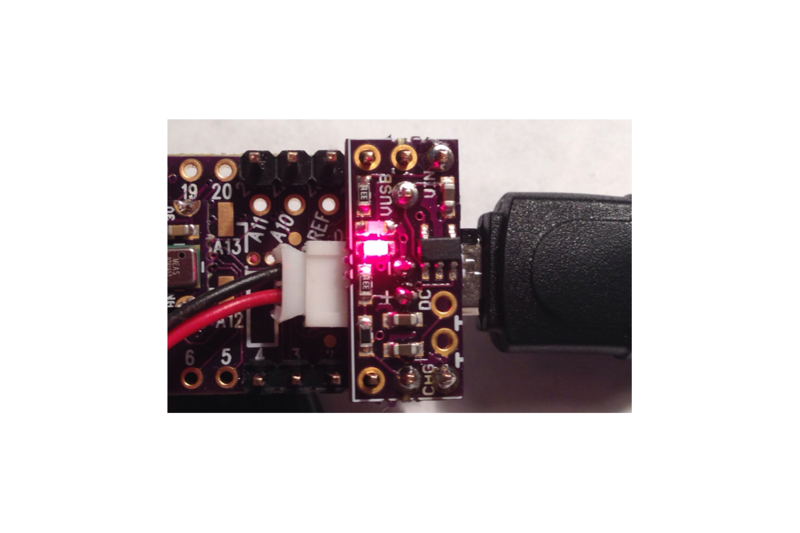 Simple plug onto the Teensy and use a Lipo cell as simple as possible. Shipping to Germany worked fine. Single drawback: the on/off switch is too fragile. It is still working but usage needs elevated concentration. Does what it says. Just as it says. First off, praise: It's great. This little circuit is pretty legit. Good job. 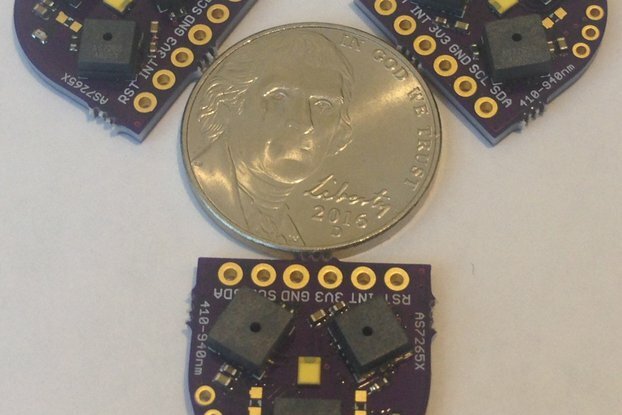 I'm all about the Teensy right now and your little lipo pack is what teensy projects need. Rock on. So here's my 2 cents for improvements there's really only 2 things and they seem simple but notable. I was really close to giving you 4 stars but aw hell 5 the good here is too good. But the 4 stars was going to be because the lipo pins were too big to fit in the plug holes. I jimmy rigged something smaller and sloppily soldered it to the pins and things are looking pretty good. But next time it would be nice if I didn't have to do that. Also, I really agree with your observations on the switch, but I don't think it's necessary to bother improving the switch itself. I think the average guy who buys this and solders it on will be careful when he uses the switch, and for the space requirements and such a itty bitty switch I'm impressed the switch is as good as it is tbh. But if your trying to make something that has any kind of on/off switch, for use by the average joe it's a bit limiting and tough to use the small switch for that person, and looking at it it looks pretty risky to try to break into to solder a switch externally. So here's a simple solution: run a lead from each pole of the switch to 2 tiny pads someone can solder wires to, to run to whatever switch, wherever. Looking at the lipo charger I feel the "Pesky Prods v01" area would allow this. Take it or leave it. But thank you for making this. I'm thankful for your headaches in making this because they save my headaches. Thanks again! Thanks for the kind words Kabe! The switch is a tough one. I like the ultra thin form factor of the current version and I pay extra attention to making sure there is plenty of solder holding the switch to the five solder pads. I think the trouble I had early on with the switch coming off with rough (or careless) handling was due to not having enough solder on these points. Still, I recognize it is not the most convenient on/off device. I will consider your suggestion for the next version. I have already started adding solder jumpers on almost all of my designs to allow more functionality where appropriate. I don't see why the same can't be done here. This is a good (and the only as far as I know) board for powering a Teensy 3.1 from a LiPo cell and charging the cell.